With this vision in mind a partnership was signed with BHEL to create the country's first ever Management Institute that would be housed inside an industrial giant. Thus was born Bharathidasan Institute of Management - School of Excellence. 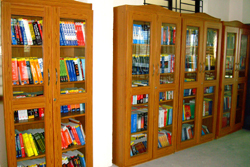 BIM offers one of the most coveted MBA programmes in India. Entry to this course is regulated through a rigorous selection process. 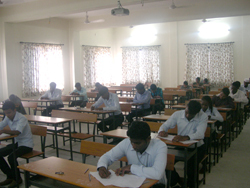 BIM has an annual intake of 120 students. 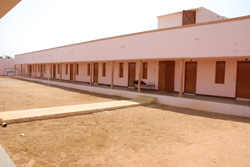 Separate hostel facilities are available for both boys and girls with all required basic amenties. The hostel function under the supervision of the Chief Warden and the Deputy Wardens. 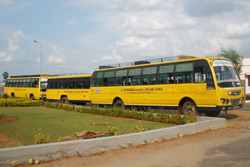 The Hostel can be mentioned as an another home for students. 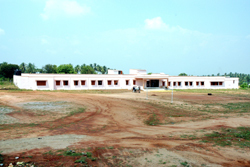 The inmates of the hostel are expected to move a friendly and co-operative with their fellow students. Smoking or using intoxicating drinks / drugs are strictly prohibited. Violators will be severely punished with termination. Silence must be mainted in the hostel as well as in the mess. Proper permission should be obtained from the hostel warden for leave and also to get out-pass for going out any other purpose. Parents or Guardians can meet the students only with the knowledge of the Deputy Wardens. 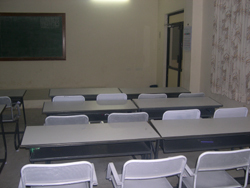 Attendance will be taken everyday compulsary at 8:00 P.M. in the hostel. Study Hours for Boys &amp; Girls: 8:00 P.M. to 10:00 P.M. 24 hours WI - FI 2Mbps Free internet facilities are available for the students and staffs. 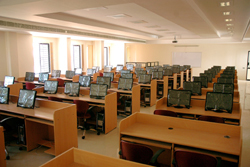 COMMUNICATION LAB: Our college has well equipped communication lab with latest and specialized softwares. An excellent language trainer will train the students. she will also provide efficient BPO and call center training. MBA (Marketing & HR), MBA (Systems)., M.Phil. BIM is proud of its vast and highly established alumni who have proven that the steel tempered at BIM is meant to last. The students are exposed to the learning of industrial experts through inputs from eminent visiting faculty and guest lectures. A strong interface with B.H.E.L also provides rich inputs to the learning process.Life at BIM is driven heart and soul by the students. The student committees take care of all the amenities and events at BIM thereby fostering in them a spirit of self-dependence. He has 22 years of experience in academics, industry and administration. His teaching areas include Financial Management, Strategic Cost Management, Economics and International Finance. He has 15 years of experience in industry and academics and teaches select courses in Banking and financial services, and Corporate Finance. He has more than 25 years of industry and teaching experience. He teaches Marketing & Consumer Behaviour courses. He brings to the table the experience of more than 10 yrs of heading businesses in media and banking space (Yes Bank and ABP), 3 years in HR (Bharti Airtel) and 4 years in academia. A postgraduate in English Literature from Madras University and an MBA from Bharathidasan Institute of Management, she has more than 26 years of teaching, training and consulting experience in the area of Organizational Behaviour and Human Resources. She has 7 years of experience in teaching and the IT industry. Her area of interest includes Electronic Customer Relations, Technology in Management, Lean Concepts and Enterprise Resource Planning. She has participated and presented papers in various national and international conferences and has published few articles in national journals.